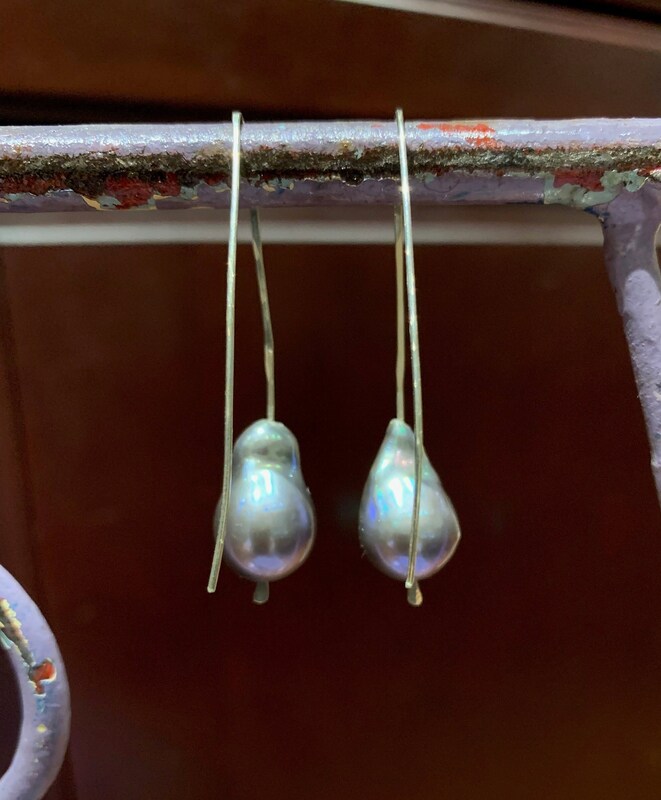 These simple, structured drops feature two beautiful baroque freshwater pearls, and can be worn day or night, with jeans or an evening dress. 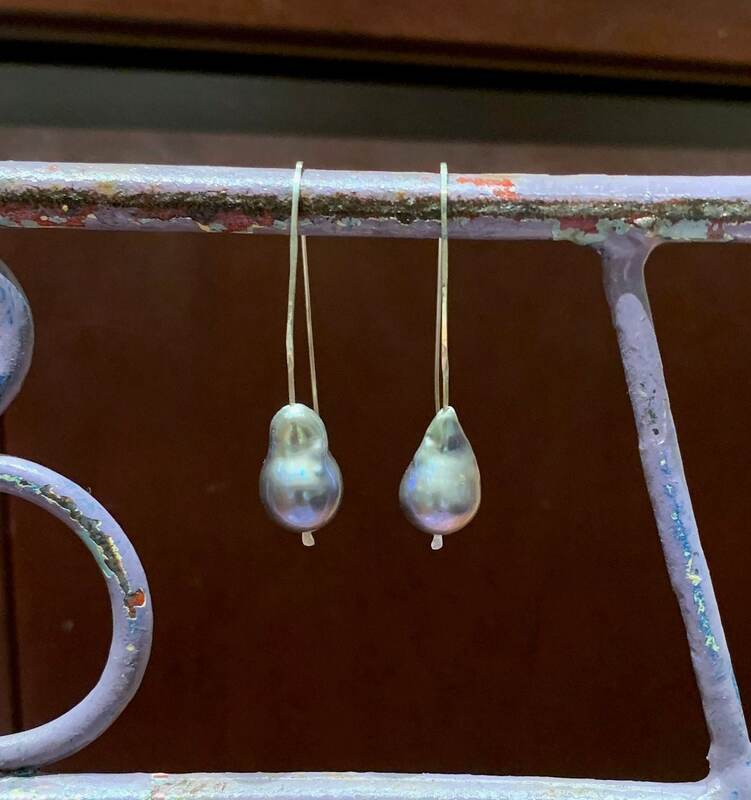 The pearls measure 15mm x 10mm, and they have been dyed. 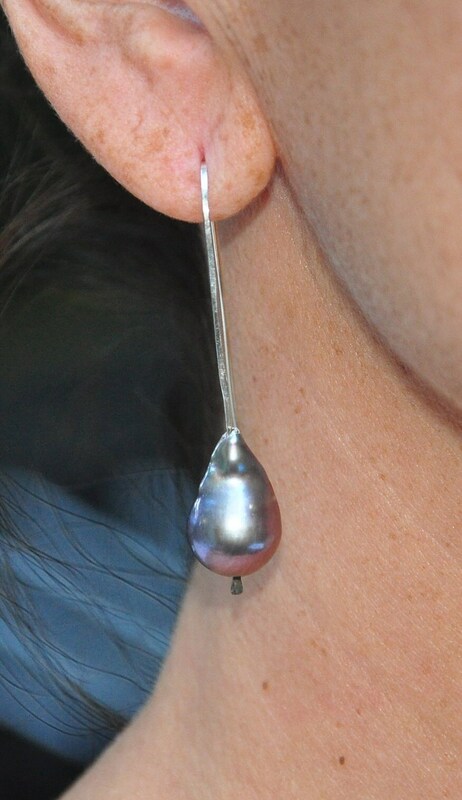 The earring components are made with sterling silver wire. The length of the drops is 45mm (1.8 inches), and the earrings come with rubber safety backs. These long drops are the shorter of the two lengths we offer, and the length that looks best on women with short hair. Long or extra-long drops work for women with long hair.